 The report titled “Global Cigarette Market: Size, Trends and Forecasts (2017-2021)”, provides an in-depth analysis of the global cigarettes market by value, by volume, by products, by region, etc. The report provides a regional analysis of the cigarette market, including the following regions: the US, EU, EEMA, APAC, Latin America and Canada. The report also assesses the key opportunities in the market and outlines the factors that are and will be driving the growth of the industry. Growth of the overall global cigarette market has also been forecasted for the period 2017-2021, taking into consideration the previous growth patterns, the growth drivers and the current and future trends. The competition in the global cigarette market is dominated by the four big players, British American Tobacco, Japan Tobacco International and Imperial Brands Plc., and Philip Morris International Inc., which are profiled with their financial information and respective business strategies. Cigarette is a thin cylinder of finely cut tobacco rolled in paper for smoking. The cigarette contains nicotine or any other herbal substance depending upon the type being manufactured. The cigarettes are been consumed for varied reasons ranging from personal factors, professional factors to societal factors and others. The manufacturing of cigarettes is almost completely automated. It is done by machines without people. Machines crush and clean tobacco leaves and add chemicals like nicotine. They also roll cigarettes, put on filters, cut them to length, and then package them. The engineering of a cigarette consists of filter, cigarette paper, tobacco filler, tipping paper, ventilation holes and additives. Cigarettes impose both financial and health hazards. The global cigarette market has increased at a significant CAGR during the years 2010-2016 and projections are made that the market by value would rise in the next four years i.e. 2017-2021 gradually. The cigarette market is expected to increase due to growth in global GDP per-capita, rising urban population, declining global tobacco prices, increasing youth population, etc. Yet the market faces some challenges such as, declining adult smoking incidence in varied parts of the world, emergence of e-cigarettes, increasing per-capita healthcare expenditure, etc.